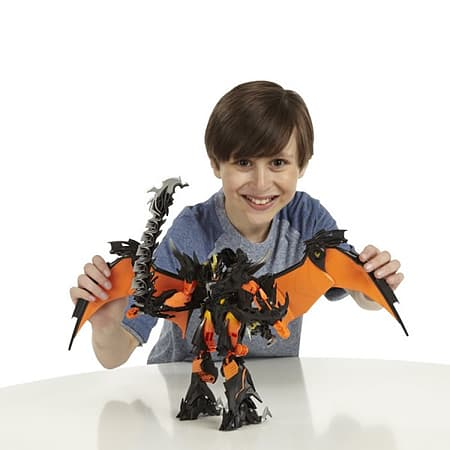 This incredible Transformers Prime Beast Hunter Fire Breath Predaking figure from Hasbro is the ultimate Predacon, and he's going to take your Transformers adventures to a whole new level. 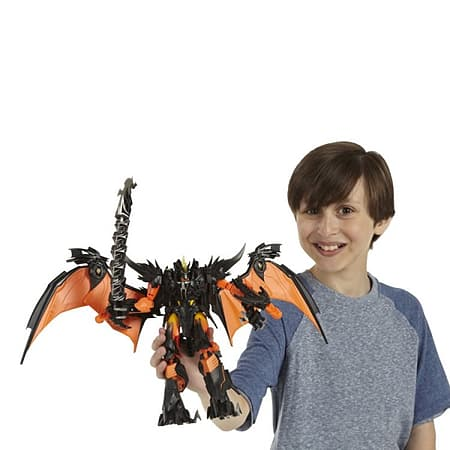 With an enormous 21-inch wingspan and blazing light-up fire breath, he's a beast who scares both his enemies and his allies! His Infernum Blade will make enemy Autobots think twice before they mess with him, and his dual missile launchers give him firepower even for a long-range attack! 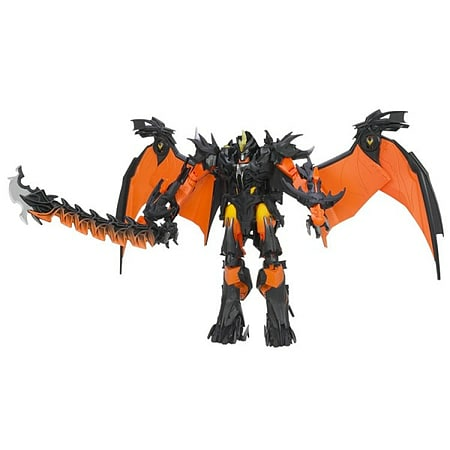 Whether he's in dragon mode or robot mode, this Predaking figure is the Predacon to beat all Predacons! 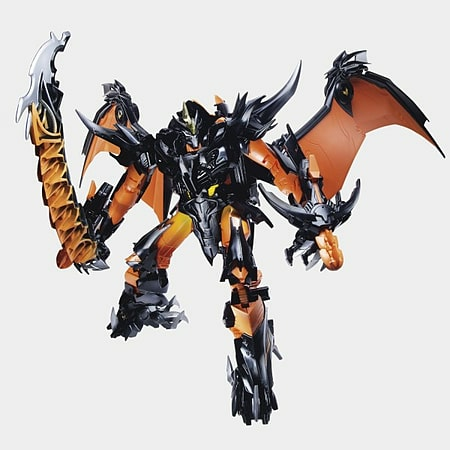 Predaking figure has light-up fire breath! 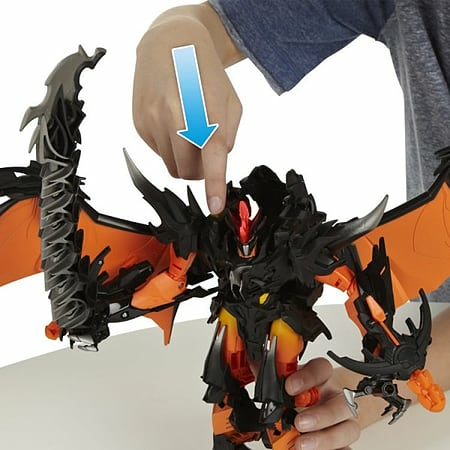 Converts from robot to dragon mode and back.